The awards were presented by the Minister for Health, Greg Hunt, at the Australian Pharmacy Professional conference (APP) on the Gold Coast today. A spokesperson for the judging group, pharmacist Nick Panayiaris, Pharmacy Guild of Australia National Councillor and President of the South Australian Branch of the Guild, said Flannery’s Pharmacy was an exceptional example of the pharmacy of the future. “The pharmacy’s excellent business operations and its investment in its people has established a great working environment with a strong emphasis on delivering a wide range of professional services to the community,” Mr Panayiaris said. Mr Panayiaris said Flannery’s Pharmacy was constantly looking to innovate and improve its service offer for the community. The National President of the Pharmacy Guild of Australia, George Tambassis, said Flannery’s Pharmacy was a great example of a pharmacy’s commitment to the community. “The pharmacy is dedicated to the people of Forbes and surrounding areas and has invested to secure its future and the future of the services it provides it patients and customers,” he said. “The pharmacy is optimistic about the future and sees the Guild’s Community Pharmacy 2025 (CP2025) project as providing great guidance. It has looked at the nine pathways to growth in CP2025 and identified what it is already doing and what pathways provide future opportunities. 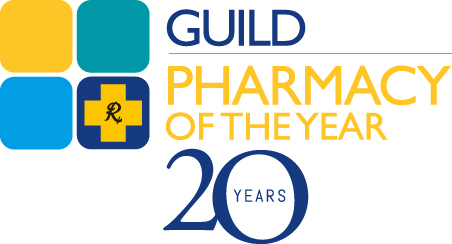 The Guild Pharmacy of the Year is an initiative of the Pharmacy Guild of Australia, sponsored by principal sponsor Care Pharmaceuticals and sponsor Quality Care Pharmacy Program (QCPP).